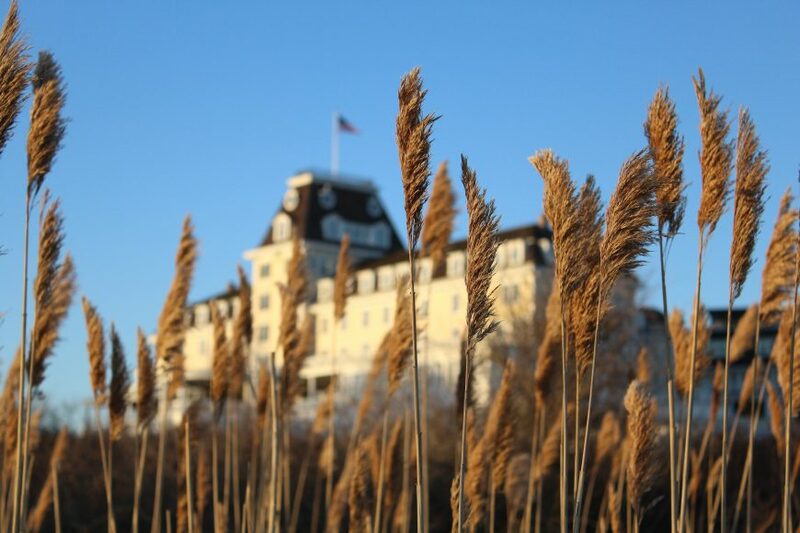 Growing up in Connecticut, I spent summers on Long Island Sound and in New Hampshire. In the winters, we’d drive up to Vermont to ski and when the ground thawed in the spring, we’d visit nearby cities. As I approached the age that I could decide my next home, I dreamt of leaving this small corner for the sunny beaches of California—intrigued by an area that had nearly 365 days of sunshine. Those dreams became a reality; I spent three years in San Diego before I started to miss a few things from my New England life. I missed the old, historic architecture, the excitement and change that comes with each new season and celebrating holidays as it snowed outside. 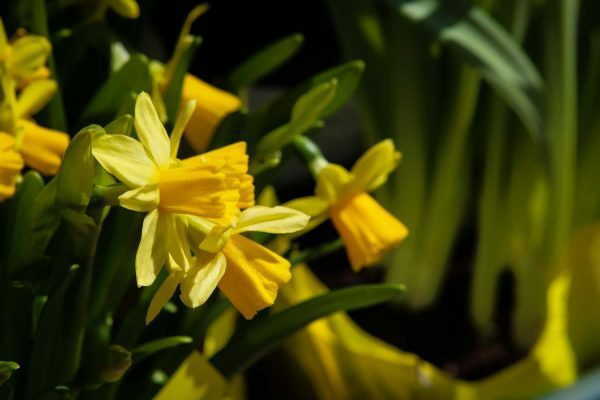 The sun was great, but without the cold snow turning to rain and eventual warmth, the flowers seemed less brilliant. Oh, and most importantly, there’s no lobster on the West Coast! Eventually, I decided it was time to head back home. 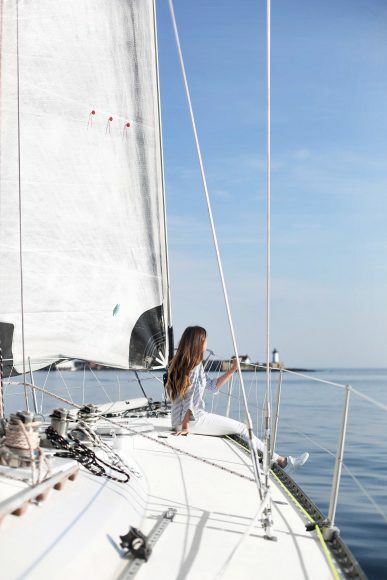 Whether you’re commuting to Boston via ferry, hauling in the day’s catch on a shing boat, or cruising up to your favorite waterside restaurant in the summer, there is no shortage of water vehicles cruising around. For a region dotted with seaside towns, it comes as no surprise that locals are constantly drawn to the water and this form of transportation. Also, there’s a bar on many New England’s ferries, such as the route I take to work between Hingham, Massachusetts, and Boston’s Rowes Wharf. The commute home is a little breezier when it’s by ferry. Off to the islands? 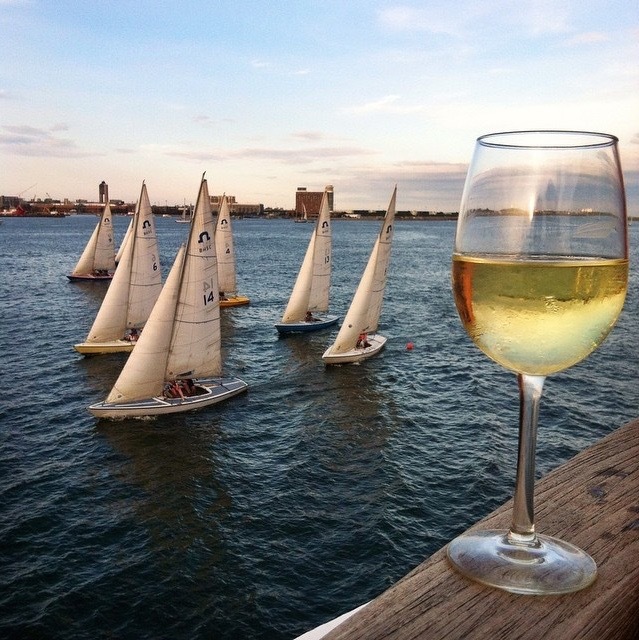 Ferries to Nantucket, Martha’s Vineyard and Block Island also have the bars stocked. In Maine, Casco Bay Lines’ boats don’t have bars, but they are B.Y.O.B. 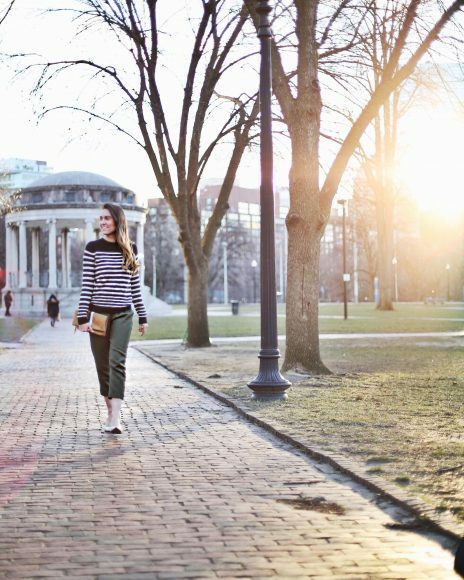 No matter the season, when the new day begins, I take pride in knowing we get to experience that glimpse of sun before the rest of the country. Mornings along the coast are quiet and peaceful. 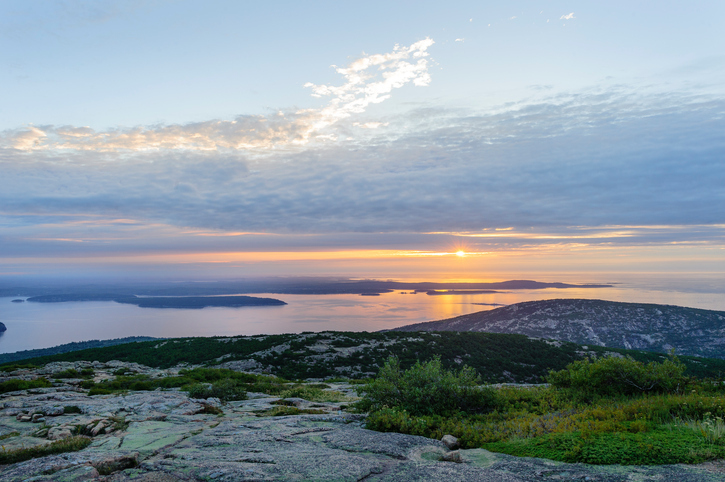 For the true experience, head to Cadillac Mountain in Acadia National Park (acadiamagic.com), the highest point along the North Atlantic seaboard and from October to March, it is the very first place you can see the sunrise in the United States. Can’t make it to Maine? Set your coffee timer, fill your mug and head over to Boston’s Castle Island ( 2010 William J Day Blvd, Boston, MA), where you can watch the city waking up. 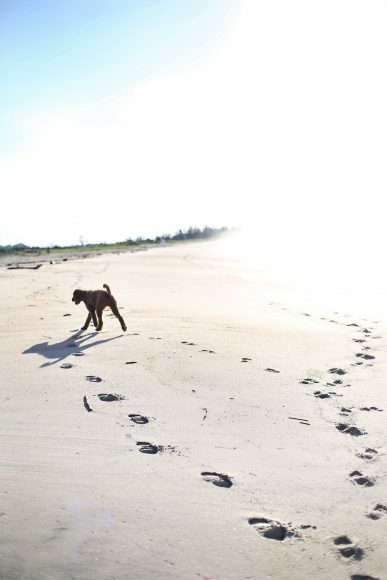 Have you ever wished you could plan an island getaway, even for a day? 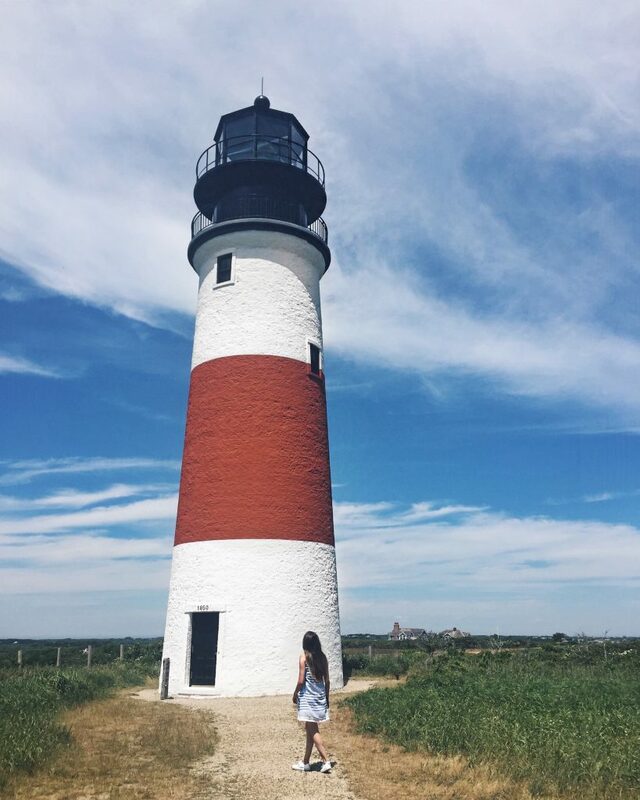 Look no further than the high-speed ferries that run between the mainland and Nantucket, Martha’s Vineyard and Block Island. Many times, I have spontaneously decided to cruise down to Hyannis and catch the first ferry out to Nantucket at 6:15 a.m. Once you dock, grab an iced coffee at Island Coffee Roasters (4 Broad St., Nantucket, MA) near the ferry terminal and take a 15-minute walk over to Brant Point Lighthouse (Easton St., Nantucket, MA), a frequently photographed icon. You can catch a ride to Surfside Beach via the Wave (nrtawave.com), Nantucket’s island shuttle, which costs $1 each way. Cisco Brewers (5 Bartlett Farm Road, Nantucket, MA, ciscobrewers.com), the island’s year-round brewery, distillery and winery, has a free shuttle, too. Pick it up on Federal Street between Oak and Chestnut Streets. If you get hungry, there are typically a few food trucks to choose from at the brewery, or head back downtown for a meal before jumping on the 7 p.m. ferry home. 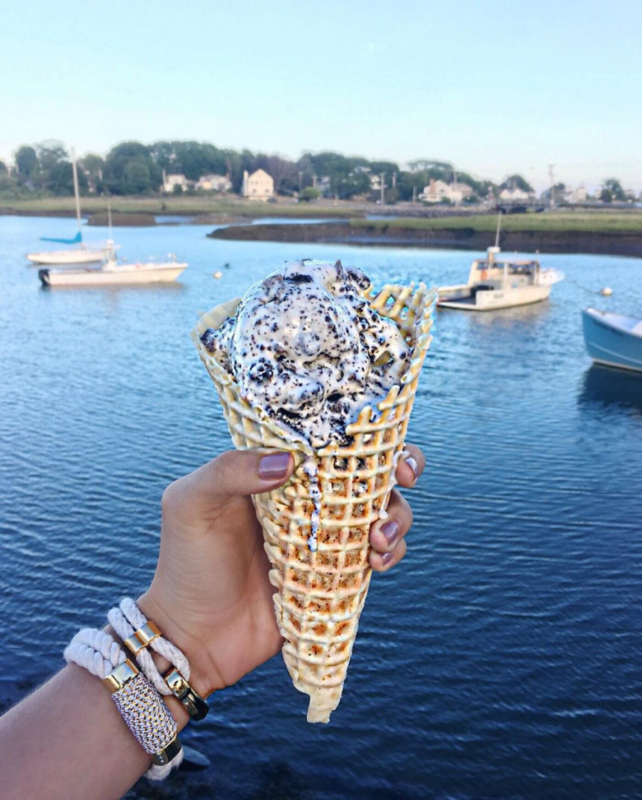 When I see “Best Ice Cream” lists, I always pay attention, and it should come as no surprise, that most of the top contenders are from New England. Forget the typical vanilla and chocolate, enjoy a scoop of one of Toscanini’s many rotating favors (899 Main St., Cambridge, MA, tosci.com). The Central Square, Boston, location isn’t afraid to experiment, churning avors like Matcha Cookies and Cream, Burnt Caramel and B3 (brown sugar, brown butter and brownies). In Kennebunkport and Ogunquit, Rococo’s in Maine (6 Spring St., Kennebunkport, ME; 259 Main St., Ogunquit, ME rococoicecream.com) is fearless with avor combinations, too, scooping chilly cones inspired by the owner’s travels like Earl Grey, Rose Hip Jam and Pistachio as well as Nutella Cranberry and Maine’s Whoopie Pie. Looking for farm fresh? To an outsider, it might not seem like the conventional farm pickings, but for some locals, visiting the oyster farm is a summer tradition. Head down to Island Creek Oysters’ farm (296 Parks St., Duxbury, MA, islandcreekoysters.com) hop on a skiff and learn about each step of growing and harvesting. There’s nothing quite like pulling up an oyster, learning how to shuck and slurping it down—that’s as fresh as it gets. 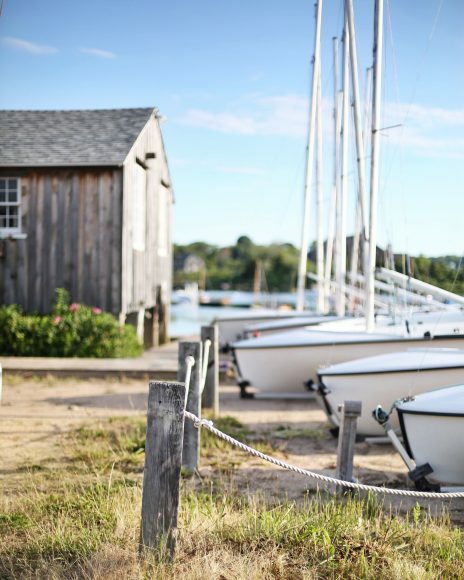 For those in northern New England, Nonesuch Oysters (nonesuchoysters.com) in Scarborough, Maine, also welcomes seafood lovers aboard their workboats. 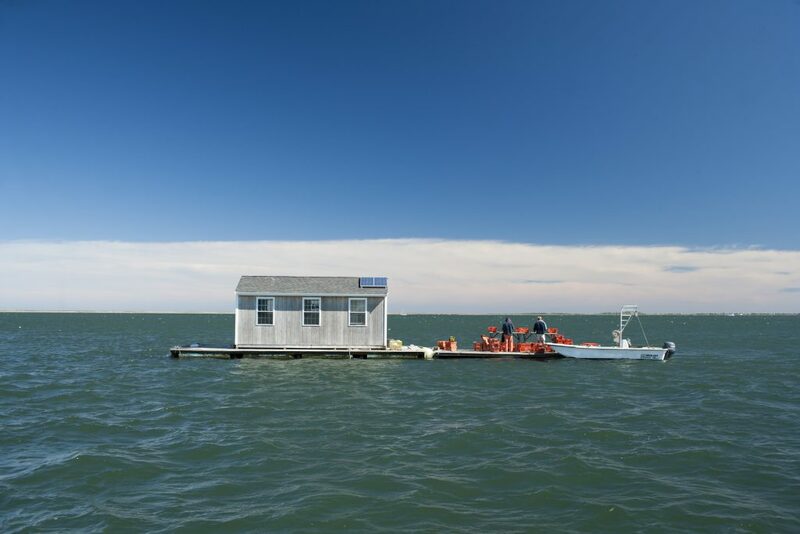 If you’re on island time, make your way to Cottage City Oysters’ launch on Martha’s Vineyard (cottagecityoysters.com) to see a smaller scale operation. Don’t forget, always dress casually, as most vessels you’re boarding are working boats (and a bit dirty!). Ah, the age-old battle between the Maine-style and Connecticut-style lobster rolls: cold lobster meat tossed in mayonnaise or mixed with hot butter. Any New Englander will passionately argue their lobster roll choice reigns supreme. What can I say? We’re very passionate about our lobster. 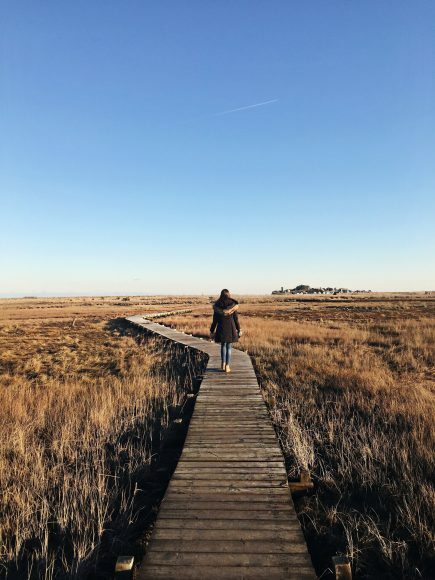 My personal favorite is from Matunuck Oyster Bar ( 629 Succotash Rd, South Kingstown, RI, rhodyoysters.com), where you can experience a tasty roll in front of incredible coastal Rhode Island views. Plus, it is a big bang for your buck, as the lobster roll is ridiculously massive. For those with a preference for hot-buttered lobster meat, why not go to the town where it all began? Legend has it that in the early 20th century, a customer at the former restaurant, Perry’s in Milford, Connecticut, requested lobster meat off the shell, doused in hot butter and served in a bun. While Perry’s is no longer open, you can get a re-creation in downtown at 7 Seas Restaurant and Pub (16 New Haven Ave, Milford, CT, sevenseasmilford.com). 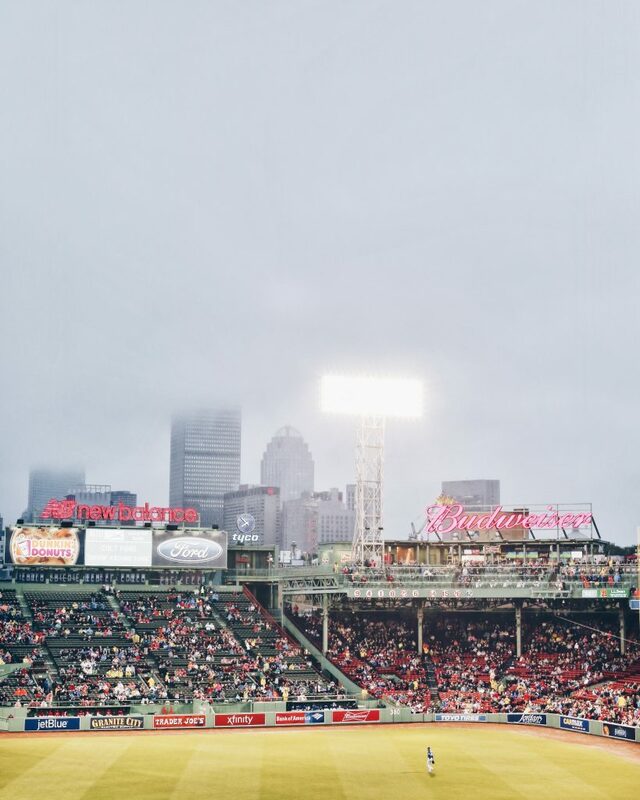 Speaking of passion, whether you were born and raised in New England or you’re a recent out- of-towner that’s just arrived, it is inevitable that you’ll soon become a fan of at least one of New England’s sports teams. I dare you to walk into Fenway Park with a Yankees cap! If you do make the trip to the history-filled, 1912 stadium, before taking down a mandatory Fenway frank, try the neighborhood spots. Eventide Oyster Co. (1321 Boylston St, Boston, MA, eventideoysterco.com), a popular Portland, Maine, restaurant, has moved down to Boston and set up shop on Boylston Street. 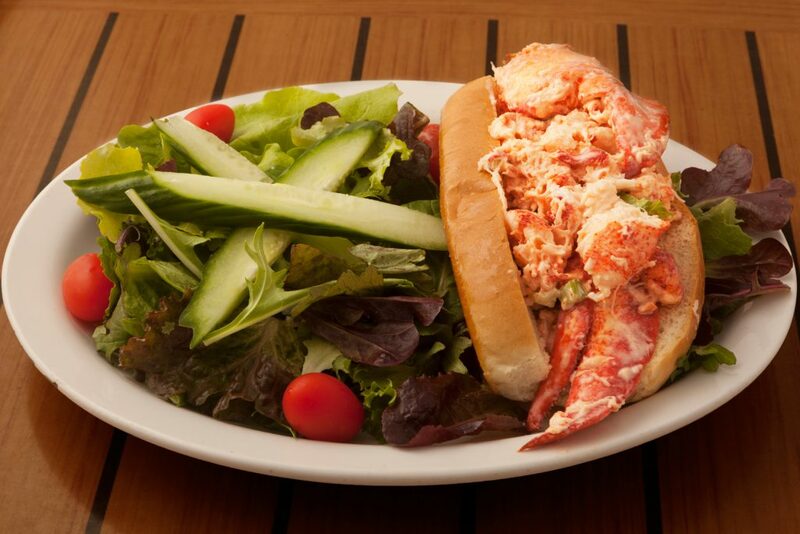 (They are known for their brown-butter lobster roll.) If you wanted to see the field, but couldn’t get tickets to a game, have a drink at Bleacher Bar (82A Lansdowne St, Boston, MA, bleacherbarboston.com), the former-batting-cage-turned-bar is positioned beneath the center field bleachers with a window that has a view out to the field and stadium. While fall foliage marks the end of summer, the beauty that ensues will surely remind you why the start of the new season is so special. 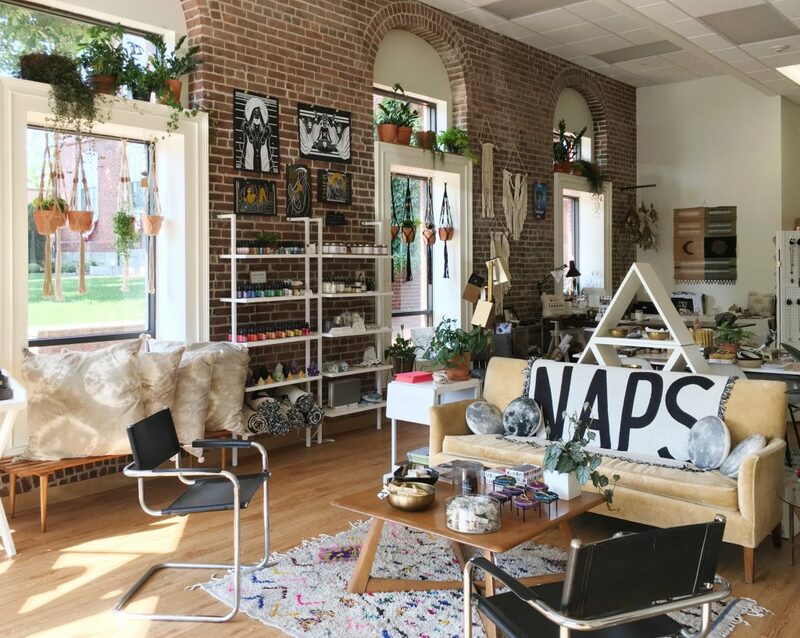 During this time, a road trip to Vermont or New Hampshire is worth it. 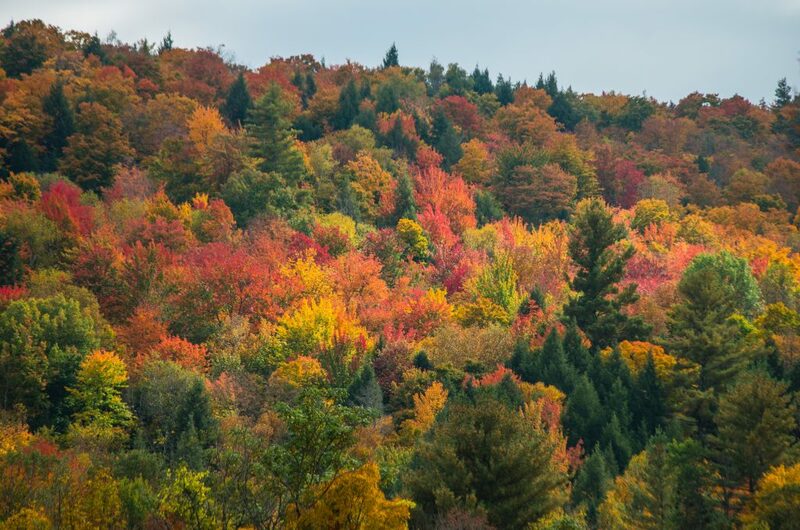 Each year, as the leaves turn, I head up to Dover, Vermont, for Mount Snow’s annual Oktoberfest (mountsnow.com). During the event you can eat a traditional bratwurst and sip on a local brew, then hop on the chairlift up to the summit for views of the Green Mountains. A quieter drive is north of Dover to Woodstock, Vermont. Here you’ll wind through crimson and gold trees and you can stop at a few covered bridges, including the charming Middle Covered Bridge that stretches over the Ottauquechee River in Woodstock. The cliche “you don’t realize what you’ve got until it’s gone” hasn’t rung truer than during the few years I lived outside of the New England region. Where once I could find centuries-old architecture on every corner, I was now surrounded by modern decades-old buildings. While I had never noticed it before, upon returning to New England, I realized every house, restaurant and hotel had a story. 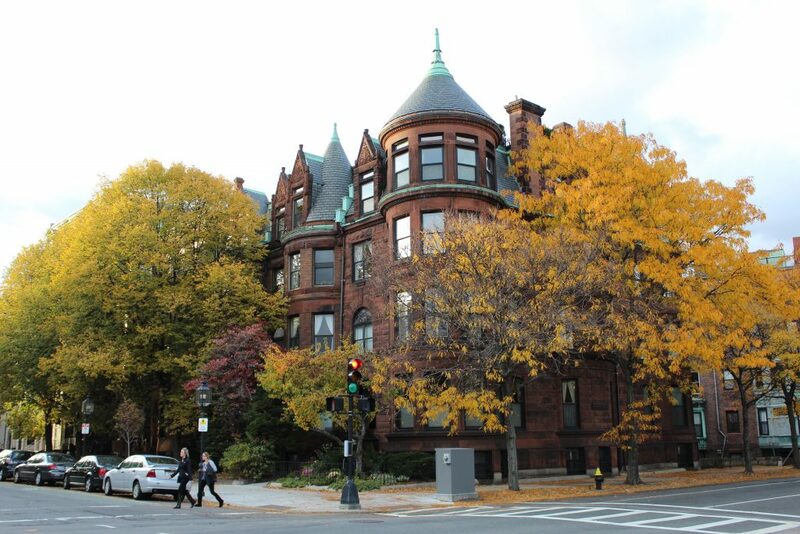 To spot an entire neighborhood of historic homes and shops, visit Boston’s North End and Beacon Hill. Follow the Freedom Trail (freedomtrail.org) to Charlestown, where you’ll have a chance to order a beer from Warren Tavern (2 Pleasant St, Charlestown, MA, warrentavern.com), a watering hole that claims to have served Paul Revere. 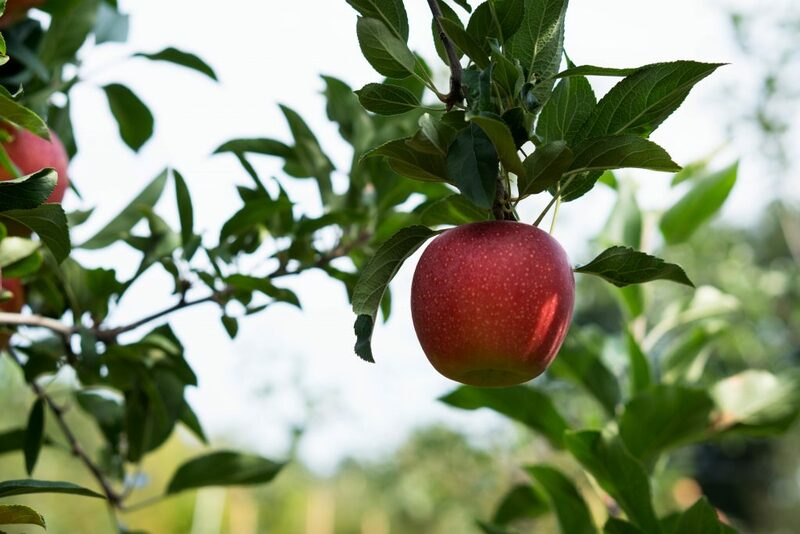 While on your hunt for fall foliage (trust me, it won’t be difficult), the best way we can experience the full autumn season is by stopping at the numerous local orchards. With a basket in hand, it’s hard not to get into an apple picking frenzy, but once you realize you’ll have to eat them all, it’s easier to find some self control. A post-picking favorite of mine? Dining on freshly baked apple pie with a glass of pressed cider. My love for apple-picking adventures began at Silverman’s Farm in Easton, Connecticut (451 Sport Hill Rd, Easton, CT, silvermansfarm.com), where a tractor takes you to the orchards. In Deerfield, Massachusetts, Clarkdale Fruit Farm (303 Upper Road, Deerfield, MA, clarkdalefruitfarms.com), is a fourth-generation operation, and you can still pick apples from trees planted by the first generation. In the fall, they press cider and you can P.Y.O. McIntosh apples. Gould Hill Farm (656 Gould Hill Road, Contoocook, NH, gouldhillfarm.com) has over 80 varieties of apples, plus freshly baked pies and apple crisp topped with Granite State Candy ice cream. 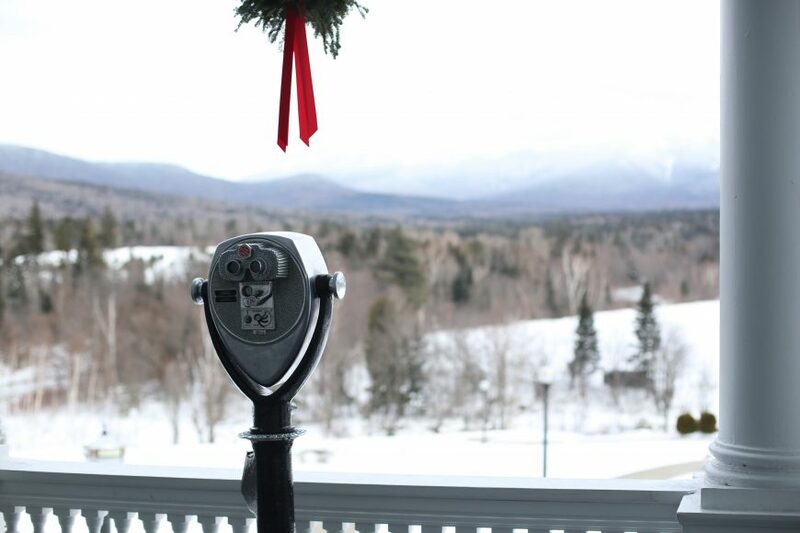 The view of the White Mountains is also pretty spectacular. One of my earliest memories as a child was when my family and I would head to a farm up the street from our home to cut down our own Christmas tree. You could feel the excitement of the holiday season in the air and as my parents would grab the saw, we’d trek through the dense rows of trees to find the perfect one. Each year, my siblings and I would go from tree to tree, proclaiming that “this one’s too big, this one’s too small, this one’s too bare…” Until finally, “This one’s just right.” To cut down that tree, drive it home, set it on it’s stand, add twinkling lights and breathe in the scent of pine is one of my most cherished memories. 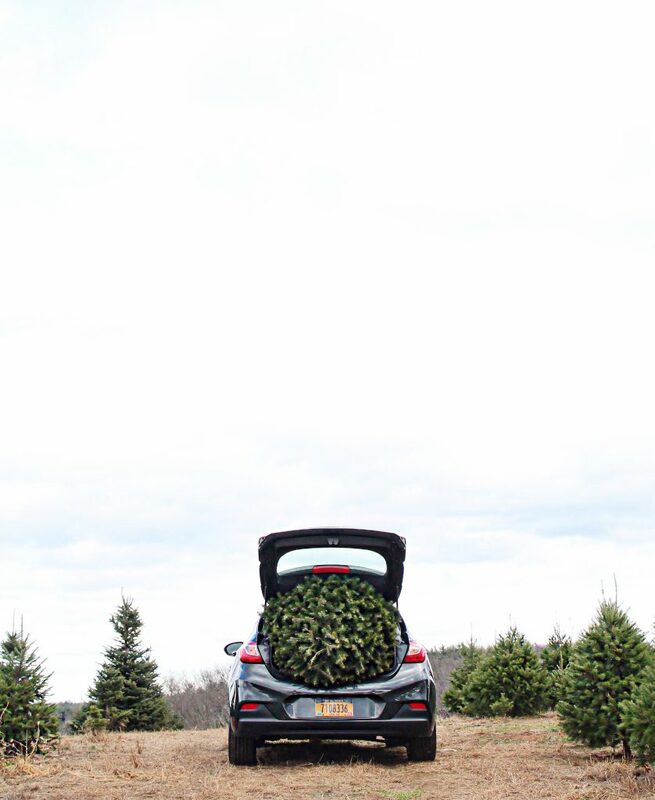 A few places around New England allow you to cut down your own tree: Henry’s Christmas Tree Farm (352 Seven Mile Road, Hope, RI), Smolak Farms (315 S Bradford St, North Andover, MA, smolakfarms.com), The Rocks Estate (4 Christmas Lane, Bethlehem, NH, therocks.org), and Jones Family Farms (606 Walnut Tree Hill Road, Shelton, Connecticut, jonesfamilyfarms.com).